‘The Friends of Wreningham School’ (FOWS). school life of pupils at Wreningham. As a ‘Friends’ organisation we are open to grand parents, sisters, brothers, carers etc. as well as parents and teachers, and we have recently become a registered charity. We work hard, at times, but have fun and we hope you can see that working together with the staff at Wreningham School we have made a difference!! We would like to encourage you to get involved by joining us, and coming along to support our events. 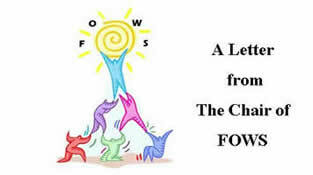 FOWS have funded the purchase of a Table Tennis table for school. A new Table Tennis Club will be up and running later in the autumn 2018 term. - Raise funds while you shop online. - FREE and simple to use. - Spend less when you shop, with 100s of exclusive voucher codes.